French dancer, choreographer and teacher Jules Perrot (1810–92) was a key choreographer of the Romantic movement. Perrot was born in Lyon and began to study dancing at a young age, making his stage debut at the Lyon Grand Théâtre in 1818. As a boy he mastered the comic, acrobatic style of Charles-François Mazurier and in 1823 was hired by the Théâtre de la Gaîté in Paris. He made his Paris Opéra debut in 1830 and until 1835 was the company’s lead male dancer, regularly partnering Marie Taglioni. 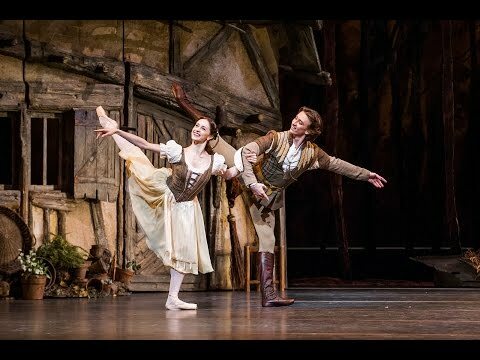 In Naples he began a highly successful dance partnership with Carlotta Grisi, which led to Perrot’s first serious choreography, Das Stelldichein and Der Kobold for Vienna. 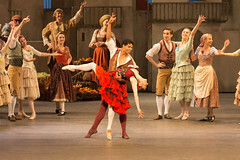 Grisi’s appointment at the Paris Opéra led to Giselle, for which Perrot choreographed Grisi’s dances. Perrot was principal ballet master at Her Majesty’s Theatre, London, 1842–8, major works including Ondine, La Esmerelda, Éoline, Catarina, Lalla Rookh and the famous Pas de quatre for Taglioni, Grisi, Fanny Cerrito and Lucile Grahn. He worked for The Russian Imperial Theatres 1848–60, where his works included The War of the Women, Gazelda, Armida, La Débutante and Le Corsaire, in addition to La Filleule des Fées for Paris. He returned to Paris in 1860 and continued to give classes there for the rest of his life. Perrot’s choreography was innovative for its extensive use of the corps de ballet and its development of the pas d’action, and remarkable for its brilliant dance for the ballerina. Captivating choreography and gripping storytelling come together in a pivotal moment in ballet history.